 Passionate about pursuing social justice in our city? We are looking for a Communications Specialist for the Early Life initiative, to design, develop, and execute a church communication and advocacy strategy. This includes coordinating and producing engaging, targeted content for a range of stakeholders, including churches, influencers and donors. The Communications Specialist will be part of a small, dynamic team focused on mobilising and equipping a network of churches to become first-thousand-days-friendly. This is a part-time (20 hours /week) contract for an initial period of 6 months.